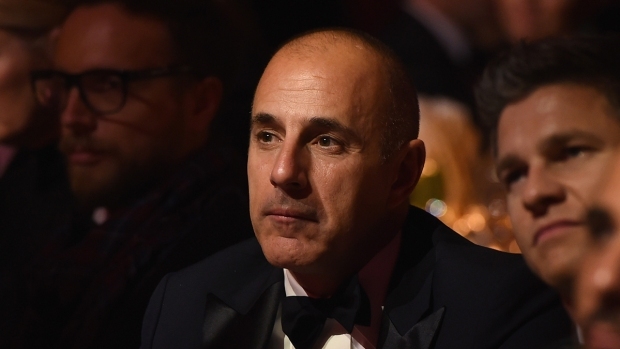 "Even though my situation with Matt was consensual, I ultimately felt like a victim because of the power dynamic"
A former "Today" show production assistant says she had a brief, consensual relationship with Matt Lauer nearly two decades ago, explaining she felt too intimidated by his stature to turn down his advances after reaching out to NBC's star anchor for career advice. Her account of a secret workplace affair when she was 24 years old and Lauer in his 40s is the latest accusation of sexual misconduct against Lauer, who was terminated from NBC News in November after a colleague's complaint of inappropriate sexual behavior. Other women have come forward with other alleged incidents of sexual misconduct. Addie Zinone said that Lauer flirted with her by instant message, asked her to lunch when she asked for career advice then invited her to his dressing room for a quick encounter, the first of several, including one at the 2000 Democratic National Convention — a relationship that began a few weeks before she was scheduled to leave the show. She said in an account in Variety, which was corroborated with a friend she told at the time and records she kept of the instant messages, that, "even though my situation with Matt was consensual, I ultimately felt like a victim because of the power dynamic." She said she left her subsequent job as a local news anchor in part because she "didn't want to start my career being known one of Matt Lauer’s girls." "I was in shock," Zinone told NBC News. "One day I'm just a normal, hardworking PA ... and now I'm walking in a cloud of confusion." Zinone confirmed to NBC News the account she provided to Variety. NBC News also confirmed that she worked at "Today" during the time in question. A representative for Lauer had no comment on Zinone's account. 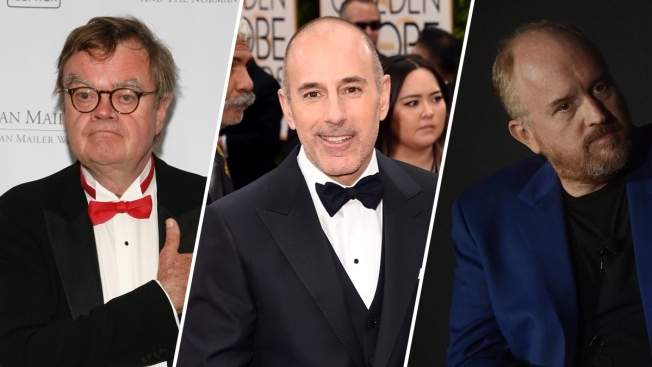 Lauer has previously said he is "embarrassed and ashamed" and sorry for what he did to hurt people, though he also said some of what he's been accused of is "untrue or mischaracterized." The Variety report includes print-outs of messages sent between Lauer and Zinone, who arrived at "Today" as an intern in 1999 and said she was close with the other anchors, Katie Couric, Al Roker and Ann Curry. She said she got the following message from Lauer out of the blue, after she accepted a position as an anchor for her hometown station. "hey … i hope you won't drag me to personnel for saying this. but you look fantastic. i don't know what you have done, or what is going on in your life … but it's agreeing with you. just thought i would mention it," Lauer purportedly wrote. He complimented her appearance in another message, then invited her to his room after their lunch, she said. Zinone later left her job to become a journalist in the Army Reserve, then joined "Access Hollywood." She said that on a day when she was featured on the "Today" show for Veteran's Day years later, Lauer didn't come to work. Her account of meeting with Lauer in his dressing room is consistent with what others told Variety, which previously reported that Lauer made use of a button under his desk that locked the door to give him privacy for such liaisons. NBC News management declined to comment on Zinone's account to Variety. A representative has previously said that "current NBC News management was never made aware of any complaints about Matt Lauer's conduct" before hearing from the woman whose account on Nov. 27 resulted in Lauer's termination later that week. An attorney for that woman, whose identity NBC News has not reported, told Stephanie Gosk that the network has not done enough to protect the confidentiality of his client. He wrote in a Washington Post op-ed Friday that he's received many questions about her identity, but that she wants to maintain her privacy. NBC News responded with this statement: "The network has protected the victim's anonymity all along and will continue to do so."